The decline of the daily press in the U.S. is a problem of many dimensions— among them, the question of the funny papers: if newspapers fail, where will one get one’s comic strips? The likely answer, one reckons, is the web… and happily, there are several sites featured earlier in (R)D– e.g., here— stepping into the breech. But what of history? 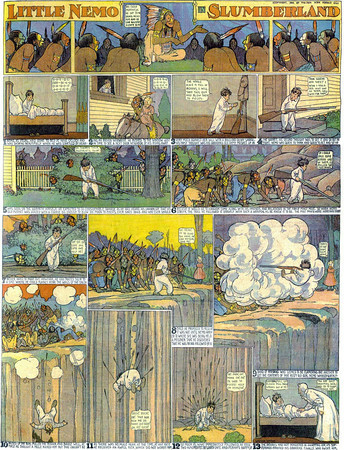 Where will one find the best strips of the past? Happily, the web is responding here too. Mr. ilovecomix (Steve Cottle) has created a wonderful archive of daily and weekly strips from throughout the history of the comics. Visit ilovecomix and revel in the ink! 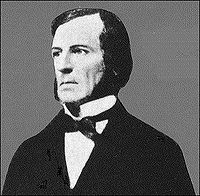 As we choke back our chortles, we might remark that this is the birthday (1815) of George Boole, the British mathematician and philosopher who developed what’s now known as Boolean Algebra (Boolean Logic) and was one of the fathers of symbolic logic… thus was (with an eye to each of those contributions), a central contributor to the foundation on which all of modern computing is based… and thus, on which the web (if not the narrative logic of the comics it makes available) depends.